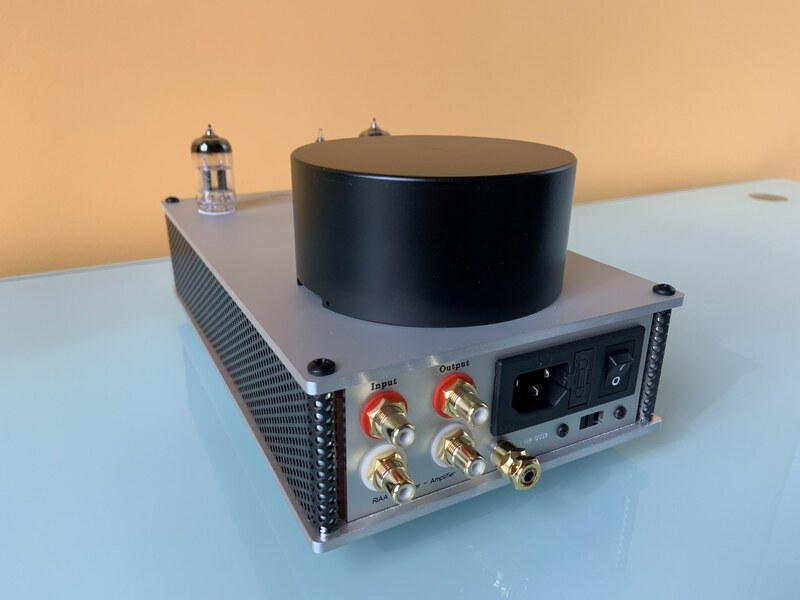 It took six months to design our moving magnet phono stage, but it's here and we are very proud of it. We designed it using our knowledge, eyes and our ears, keeping the look simple and clean. 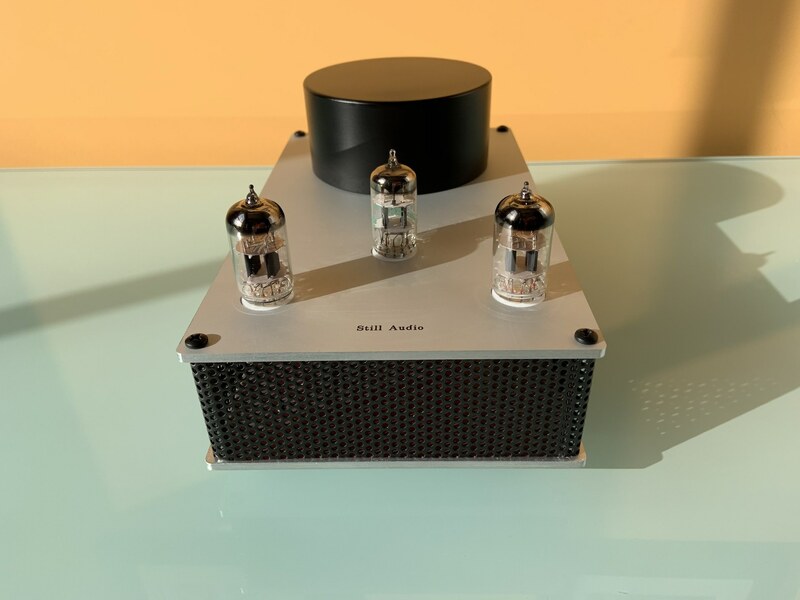 Using a pair of Tung-Sol ECC803S (low noise 12AX7's) and a JAN Philips 12AT7, it brings your music to life. 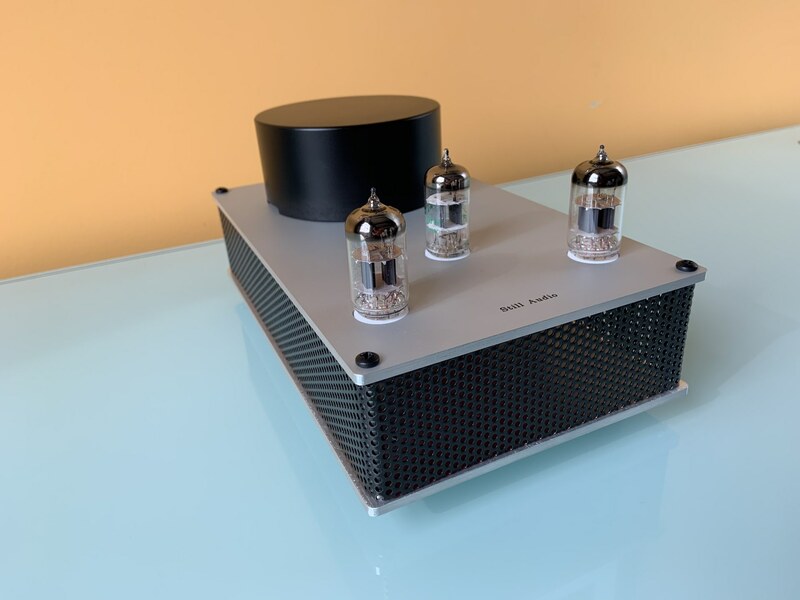 Like the EL84, every detail of this phono stage has been extensively researched to find the absolute best possible parts available. Everything from the PTFE tube sockets with gold pins for perfect connections to the Audience and Nichicon capacitors and Takman carbon comp resistors. It’s these types of details that make this RIAA amplifier extraordinary. We did not invest in expensive machined cases. Instead, we chose the highest quality parts. 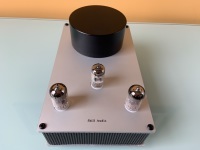 This RIAA moving magnet phono stage is a tube roller's dream. There are so many 12A*7 type tubes to choose from it makes finding the perfect sound for your ears and your system pretty easy. We have chosen the ones we like, but there so many other low noise new and old stock tubes that would be wonderful options for this unit. 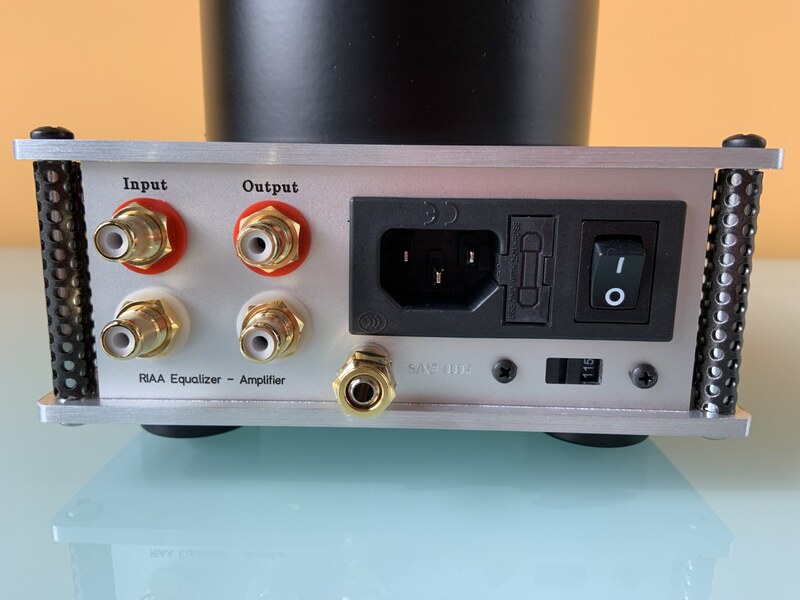 This phono stage includes 115-120 volt or 230-240 volt voltage settings. Therefore, it can run in most countries.